Compare funeral directors in Sittingbourne and read verified reviews on the UK’s online funeral resource. 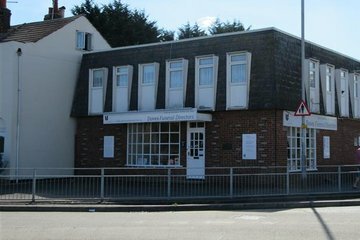 Use Funeral Zone Listings to find local funeral directors in Sittingbourne that meet your specific needs. You can organise the search results by ‘best rated’, 'nearest' or ‘most reviewed’. There is also a handy Google Maps feature so you can see exactly where each funeral home is in relation to each other. Excellent service provided at a difficult time. Helped me through all aspects in a professional and sympathetic manner. Bournes were wonderful from the minute my dad arrived with them right up to his funeral . The send off was exactly what we wanted and we couldn’t have asked for better. Ben and Hayley were lovely throughout and were there when we had any questions. Ben, Catherine and Hayley were all lovely to deal with during a difficult time. Nothing was ever too much. Explained everything and happy to help in any way. Always kept us informed. Thank you. The attention to detail and the caring nature of the staff were above and beyond my expectations. They made a sad emotional day easy and carefree almost enjoyable because I was able to grieve and say a very sad farewell to my late husband without worry .I felt cared for from the first phone call .